Contributory infringement Archives - Patent my French! In a previous post entitled The salt of the judgment, I reported on an order issued in July 2016 and rejecting a request for preliminary injunction against Biogaran’s generic version of the drug rosuvastatin. The judgment on the merits has now been issued, so this is an opportunity to go back to this interesting case. The problem with this approach is that finding a good title for a blog post in relation with a given case is difficult enough once, and it is even more difficult the second time. By the time I may get to report on a possible appeal ruling, I am afraid I may run short of salty idioms. So, yes, everything in this case is about salt, or rather salts. The compound in question is rosuvastatin, in its acid or salt form. The active substance in Biogaran’s generic drug is the zinc salt of rosuvastatin. The zinc salt is not cited in the patent at stake. As a reminder, the judge in charge of emergency proceedings ruled that the zinc salt of rosuvastatin was in fact excluded from the scope of the patent, when the claim was properly interpreted in view of the description. Now this preliminary view has been confirmed by the three-judge panel of the Tribunal de grande instance (TGI). As a side note, the judge who issued the interim order (Ms. Courboulay) was not part of this panel. […] [In the patent,] the patentee has mentioned in a clear and precise wording at paragraph  what is meant by “a non-toxic pharmaceutically acceptable salt”, namely “a salt wherein the cation is an alkaline metal ion, an alkaline earth metal ion or an ammonium ion”. [It] does not comprise any indication allowing [the skilled person] to select a salt in another family. [Besides,] the patentee, even if it did not expressly exclude a specific salt, did not, unlike in other paragraphs of the patent, add the expressions “which are not to be considered as limiting”,  […] or “and the like”,  and  […]. [Thus, the skilled person] understands that the salts protected in the patent are defined in a limiting manner as a salt wherein the cation is an alkaline metal ion, an alkaline earth metal ion or an ammonium ion. Therefore, and as decided by the judge in charge of emergency proceedings, it derives that the non-toxic pharmaceutically acceptable salts protected by claim 1 are salts wherein the cation is an alkaline metal ion, an alkaline earth metal ion or an ammonium ion. 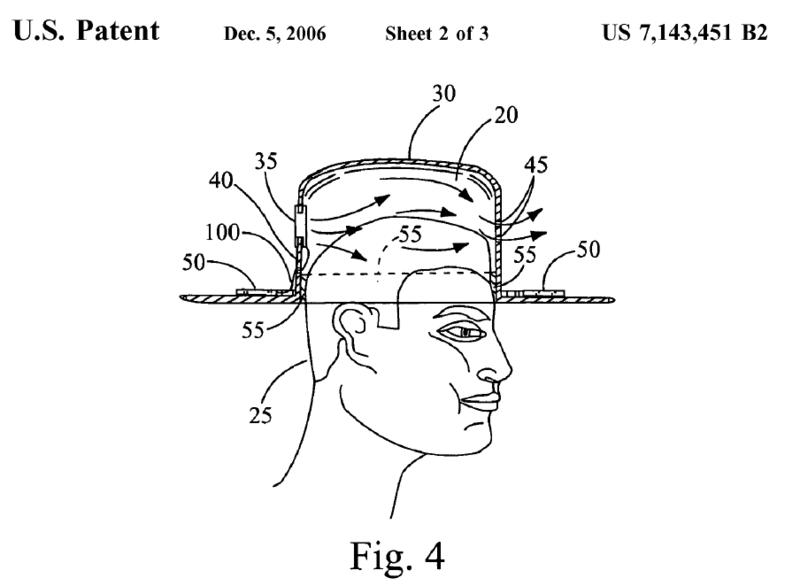 A very interesting example that claim interpretation in view of the description can be used both ways: not only for broadening the scope of protection of the patent beyond what is literally claimed, but also in some situations for restricting said scope. As a result of this claim interpretation, the necessary conclusion was that Biogaran’s zinc salt of rosuvastatin did not literally infringe the SCP. Shionogi and AstraZeneca argued that zinc could be considered as an alkaline earth metal at the filing date. They said that the exact classification of zinc was a matter of debate. However, the court was not convinced. Based on a 1978 dictionary and on Mendeleev’s table, it appeared that zinc could not be considered as an alkaline earth metal. Non-toxic salts are useful for other purposes than drugs: salt sculptures for instance. Another auxiliary argumentation by the plaintiffs was one of contributory infringement: once ingested, the zinc salt of rosuvastatin dissociates, and the anionic active molecule recombines with sodium or hydrogen, to form the sodium salt or the acid form of rosuvastatin. Thus, the zinc salt of rosuvastatin should be considered as an essential means for carrying out the claimed invention. […] The fact that the zinc salt of rosuvastatin, after ingestion, would dissociate in the patient’s body under a neutral acid form may not characterize contributory infringement […]. First, the third party mentioned in article L. 613-4 Code de la propriété intellectuelle [CPI], namely the patient, is not aware of the mechanism of decomposition of the drug within the body, so that he/she does not know under this provision that the ingestion of the drug at stake is intended for implementing the claimed invention. Second, this drug ingestion by the patient is carried out in a private and non-commercial context, so that the patentee’s rights do not extend to such acts. The first reason mentioned by the court for rejecting this infringement theory is quite convincing. It is true that the patient has absolutely no idea what the drug becomes after ingestion. The second reason looks much more challengeable on a legal standpoint. Admittedly, the rights conferred by a patent do not extend to acts carried out in a private and non-commercial context (article L 613-5 CPI). But here, the allegedly infringing act is not the ingestion of the drug by the patient, but the sale of the drug to patients, considered as the supply of essential means for implementing the invention to a third party. And article L. 613-4 CPI clearly states that a party benefiting from the exemption of article L. 613-5 CPI (such as a patient) is not regarded as a party authorized to implement the claimed invention for the purpose of the assessment of contributory infringement. That said, one good reason was certainly enough to throw out Shionogi and AstraZeneca’s auxiliary infringement theory. In addition to rejecting the plaintiffs’ infringement claims, the court also had to examine the validity of the EP’471 patent. The interim order had already stated that there was no serious validity challenge. In the judgment now issued by the three-judge panel, the validity of the patent has been confirmed. The grounds for nullity which were raised were extension of subject-matter, insufficiency of disclosure and lack of inventive step. Regarding extension of subject-matter, original claim 1 in the application as filed was directed to a compound defined by a Markush formula with five variable groups X, R1, R2, R3 and R4. Two examples of the application disclosed calcium rosuvastatin and sodium rosuvastatin. The defendant argued that the acid form of rosuvastatin, on the other hand, was not directly and unambiguously disclosed in the application as originally filed. But the court was satisfied that claim 1 of the patent was obtainable by the skilled person based on the examples of calcium and sodium rosuvastatin, and on a paragraph of the description which provided a broader definition for group R4 in the general formula, namely: hydrogen (corresponding to an acid form of the molecule), or a lower alkyl group, or a cation capable of forming a non-toxic, pharmaceutically acceptable salt. What is not explicitly discussed in the court’s reasoning is the fact that the definition of group R4 was restricted to arrive at claim 1 as granted, since the option of a lower alkyl group is no longer covered in the patent. the patent does not sufficiently establish the existence of a therapeutic effect, as it only disclosed an in vitro test, and did not contain any precise indication on a possible dosage regimen. Regarding the first objection, it is certainly relevant that only certain types of salts were held by the court to be covered by claim 1, namely alkaline metal, alkaline earth metal and ammonium salts. Therefore, it was immaterial for the appraisal of sufficiency that the zinc salt for instance is not discussed in the patent, since this salt is not covered by claim 1. The court noted that the patent discloses a process for making various salts, and that Biogaran did not demonstrate any difficulty for carrying out the invention with the different forms of rosuvastatin that are claimed. As for the second objection, the court was satisfied that, since the patent relates to new molecules, an assay comparing the biological activity (namely the activity of inhibition of HMG-CoA reductase) of rosuvastatin to that of the prior art drug mevinoline, is a sufficient disclosure of the therapeutic effect. Biogaran’s argument was based on two prior art documents, Bayer and Beck, which both disclose a broad family of compounds having an HMG-CoA reductase inhibitory activity. Biogaran argued that rosuvastatin can be obtained by way of a selection from the teaching of these documents, and that this selection is arbitrary, since the therapeutic effect of rosuvastatin is the same as that of the other compounds of the broad family explicitly taught in Bayer and Beck. The court held that this reasoning is based on hindsight and thus impermissible. The court stated in particular that the skilled person would focus on options described as preferred in the prior art, and would thus not study all possible compounds at random. In this case, there was no pointer in the prior art leading the skilled person to rosuvastatin. CASE REFERENCE: Tribunal de grande instance de Paris, 3ème chambre 2ème section, February 9, 2018, Shionogi Seiyaku Kabushiki Kaisha, AstraZeneca & AstraZeneca UK Ltd v. Biogaran, RG No. 16/13292. 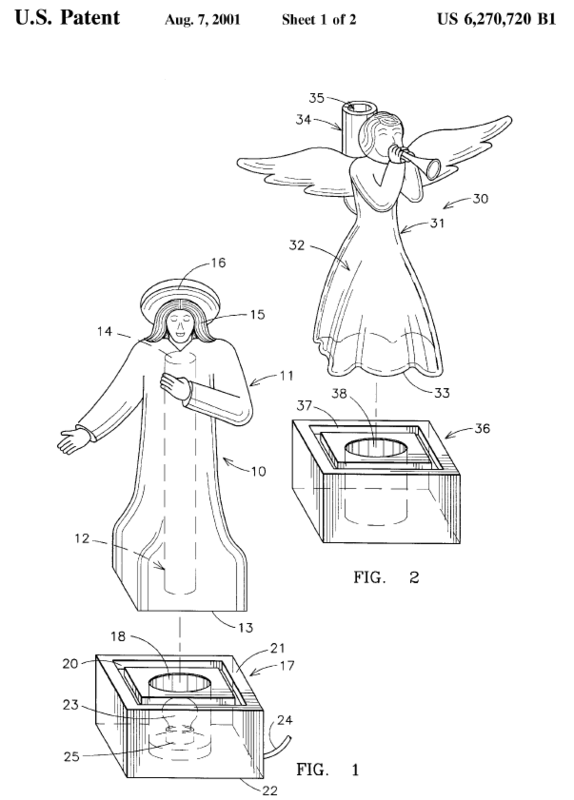 As a change from GMOs and mathematical methods, today’s patent is about a toilet paper dispenser. Rest assured that I heroically resisted the urge to come up with an introductory pun closely related to the invention at stake – lest this blog be rated by readers as not classy enough. That said, a relatively simple technical field does not necessarily entail a straightforward ruling. In fact, today’s decision addresses the complex issue of contributory infringement heads on. SCA Tissue France was originally a subsidiary of the US group Georgia Pacific, a world leader in cellulose-based products. Think Lotus toilet paper. This business has now been acquired by the Swedish group SCA. Tissue France owns European patent No. EP 1799083, on a toilet paper dispenser, and markets the so-called SmartOne dispenser, together with matching toilet paper. In March 2011, Tissue France started infringement proceedings based on the EP’083 patent against Sipinco and Global Hygiène. An opposition was filed against the patent in parallel. 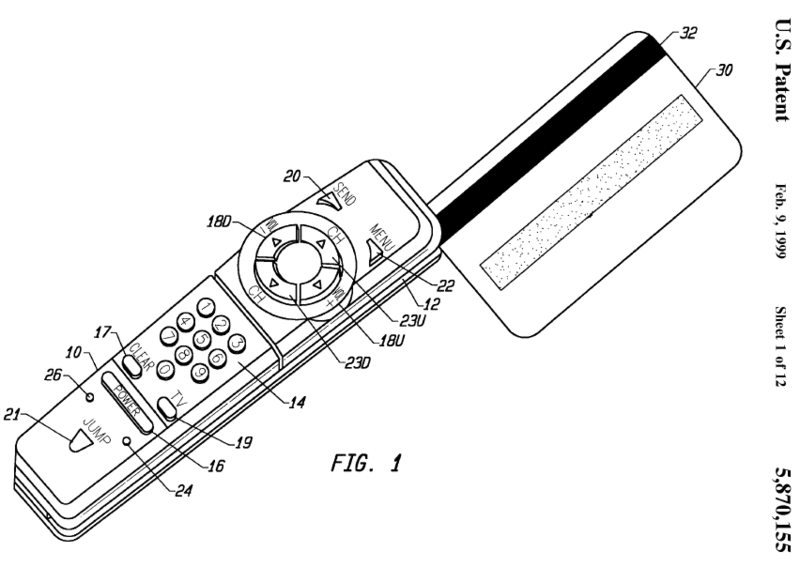 The patent was upheld as granted both by the opposition division and by the board of appeal. In parallel, the Paris Tribunal de grande instance revoked the French part of EP’083 for insufficiency of disclosure, in March 2013 and therefore rejected Tissue France’s infringement claim. However, on appeal, the first instance judgment was set aside and the patent was acknowledged as valid. The defendants had committed direct infringement by putting on the market a toilet paper dispenser as well as toilet paper within the scope of EP’083. The defendants had also committed contributory infringement by marketing toilet paper intended to be used with the patented SmartOne dispensers. The appeal judges sided with the patentee on the first count but rejected the claim based on the second count. See the ruling dated November 25, 2014. The patent proprietor did not give up on the contributory infringement count and filed an appeal on points of law. We can imagine that whether contributory infringement is established or not may have a significant impact on the computation of damages. They did well, as the Cour de cassation has now vacated the appeal judgment and remitted the case back to the Cour d’appel, ordering them to examine again the question of contributory infringement. Paper dispenser, comprising a housing in which a roll of a paper strip is housed, which comprises precuts transverse to the strip and defining rectangular paper sheets, of which the width is transverse and the length is longitudinal, the housing comprising a dispensing orifice through which the paper strip is unwound, the width of a sheet being between 125 mm and 180 mm and the ratio of the width of a sheet to its length being between 0.45 and 1, preferably between 0.5 and 0.65, characterized in that the said paper is a toilet paper and the said dispenser comprises a nozzle with the said dispensing orifice, the said nozzle and the said roll of paper being designed so that the paper sheets are unwound one at a time and emerge with less crumpling at the outlet of the nozzle, the paper being consumed in an optimum and pleasant manner. In other terms, the claimed subject-matter is a paper dispenser which comprises a number of features (notably a housing and a nozzle) as well as a roll of paper strip in the housing. When in the men / women’s room, always watch out for the bear. The supreme court judges found that the Cour d’appel erred in three different respects. 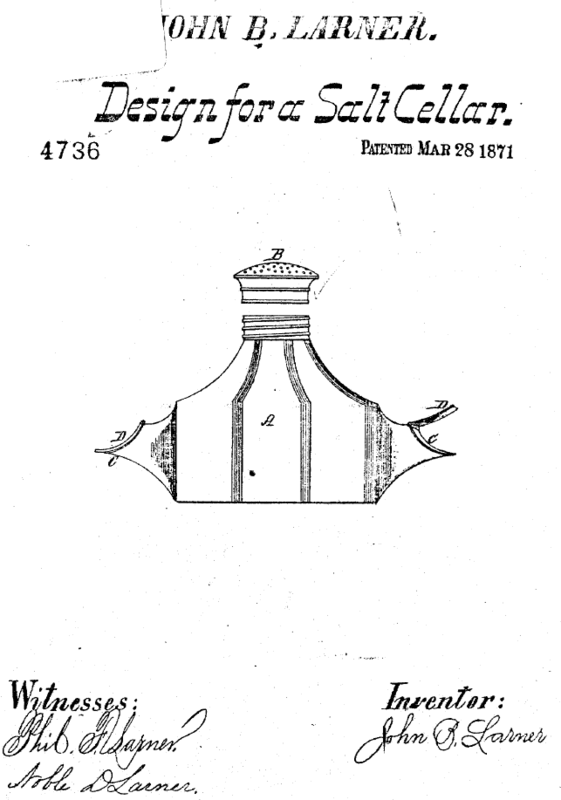 […] Regarding the existence of acts of indirect, contributory infringement […], according to Tissue France […] itself, its invention lies in a new combination between, on the one hand, a specific toilet paper, and on the other hand, the use of a nozzle for dispensing sheets associated with a specific precut paper strop, in order to achieve a dispensing of sheets one at a time, with less crumpling at the outlet of the nozzle […]. […] Therefore this is a combination invention which lies in the association of means (toilet paper and nozzle) which cooperate, notably due to their particular arrangement as described in the patent, for a common result (dispensing of the sheets one at a time, with little crumpling). Only the arrangement of the means which cooperate together for a common result is protected by the patent. […] In such a case, the means in relation with an essential element of the patented invention under article L. 613-4 cannot only consist in one of the combined means, just because this means (here, the paper roll) is part of the constitution of the invention and contributes to the result that it provides. […] contributory infringement of an invention consisting in a combination of means can result from the supply of a means relating to an essential element thereof […] even if it is a constitutive element thereof. By the way, don’t look for more detailed explanations in the ruling. There are none. It is the unfortunate tradition of cassation judgments that they have to be drafted as concisely and cryptically as possible. Basically, the cassation judges just cite relevant parts of the appeal judgment and state: “this is wrong“. Period. Sometimes, the statement of cassation appeal which is annexed to the decision provides useful additional information. But not so much in this case. That said, I think what can be taken from this part of the ruling is that article L. 613-4 should apply in a similar manner to combination inventions and non-combinations inventions. No distinction between these two types of inventions is made in the statute. As far as I understand, combination inventions are those where the contribution of the invention to the art lies in special features present in two different means which cooperate together. Here, the toilet paper is specially adapted to the dispenser, and the dispenser is specially adapted to the toilet paper. To my mind, this clarification by the Cour de cassation is rather well in line with previous case law on this matter. For instance, in at least two distinct cases related to an invention associating a dispenser with plastic bags, it was held that the supply of plastic bags was an act of contributory infringement: see Publi Embal v. Coprima and Simahee v. MultyPack. In another case where the invention related to the association of special fixing means on a digger with a special bucket intended to be placed on the fixing means, the supply of buckets was also viewed as an act of contributory infringement: see Morin v. Magsi. The important point for contributory infringement to be established always seems to be that the means which is supplied should play an important role in how the invention works. In contrast, if the invention lies entirely elsewhere than in the supplied means, there should be no contributory infringement. See Calor v. Filtech for an example of a demineralizing cartridge for an iron. […] Besides, there can be no contributory infringement when the means which are supplied are, as in the present case, consumables which are to be integrated to the patented device, which exists independently of the consumables. it does not matter whether the means may consist in consumables, if they have an essential character. Again, it seems that the Cour d’appel imposed another criterion which is simply not present in the statute. No distinction is made depending on the nature of the supplied means. The only important thing is whether the supplied means relate to an essential element of the invention or not. The provisions of [the first paragraph] are not applicable when the means for implementing [the invention] are products which are commonly on the market, unless the third party incites the person to whom the supply is made to commit the acts prohibited by article L. 613-3 [i.e. acts of direct infringement]. This is a special provision for products which are “commonly on the market“. But those are not the same as “consumables“. It is easy to picture consumables which have very peculiar features and are thus not really commonly on the market. Conversely, products commonly on the market certainly encompass other products than consumables (screws and nails, for instance). So, the test applied by the Cour d’appel as to the nature of the supplied means was not the right one. […] no document from Sipinco mentioned that its toilet paper rolls were compatible with the dispensers marketed by Tissue France […]. […] By making this determination, whereas Tissue France argued in its appeal submissions that, due to its specific dimensions, the paper at stake did not correspond to toilet papers commonly on the market, the Cour d’appel, that did not investigate whether this was correct, and in this case whether this should be taken into consideration to examine whether Sipinco and Global Hygiene knew, or circumstances made it obvious, that these rolls were adapted and intended for implementing the invention, the Cour d’appel did not provide a legal basis for its decision. Now, the issue is that the Cour d’appel did not find evidence that there was any incitation to customers for them to use the toilet paper at stake with the patented dispensers, which is the test under paragraph 2 of article L. 613-4. But, before making that determination, it should have been checked whether the toilet paper was a product commonly on the market or not. If not, then paragraph 2 should not come into play. 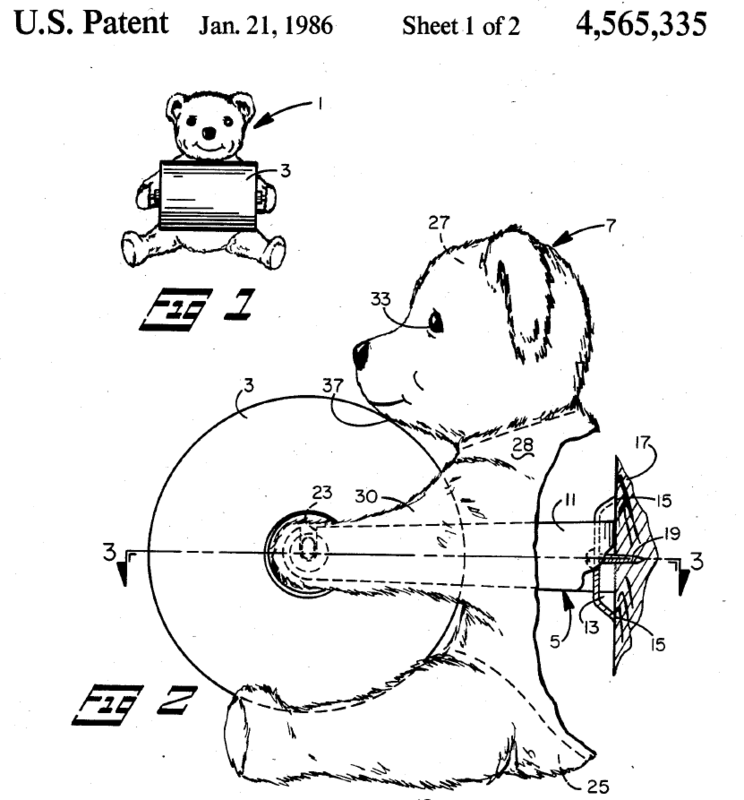 And in this respect, the patentee’s argument was that the dimensions of the toilet paper were so specific that it could not be considered as a product commonly on the market, so that only paragraph 1 should apply. While the Cour de cassation did not formally endorse the patentee’s argument and just requested that it should be further considered by the Cour d’appel on remand, it certainly looks like they thought that it had merit. If this is correct, then it means that a relatively cheap and commonplace product such as toilet paper is not a product “commonly on the market” if it has some specific features which make it original relative to other, similar products. In summary, this Tissue France decision will probably be important for future cases involving so-called combination inventions, as well as cases where a defense related to “products commonly on the market” is raised. And now the Cour d’appel will have to dispense another judgment in this litigation. CASE REFERENCE: Cour de cassation, ch. com., June 8, 2017, Tissue France v. Sipinco & Global Hygiène, pourvoi No. 15-29.378.